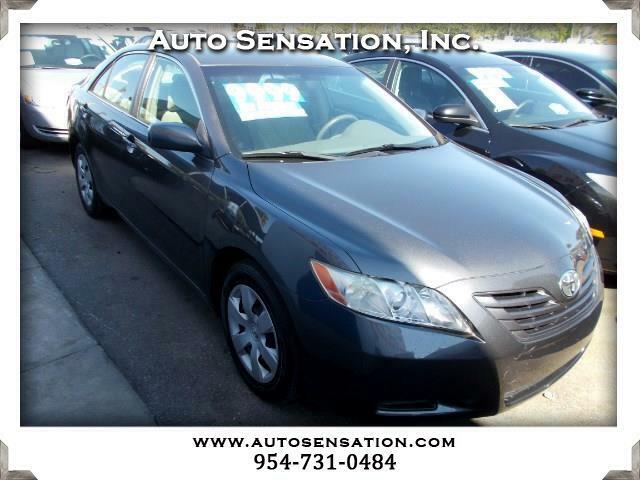 Used 2007 Toyota Camry CE 5-Spd AT for Sale in Fort Lauderdale FL 33311 Auto Sensation, Inc. WELCOME TO AUTOSENSATION. WE WHOLESALE TO THE PIBLIC. BAD CREDIT, NO CREDIT, FIRST TIME BUYERS, ESTABLISH CREDIT, RE ESTABLISH CREDIT, FREE CAREFAX, OVER 11,000 VEHICLES SOLD. ASK FOR NEIL.